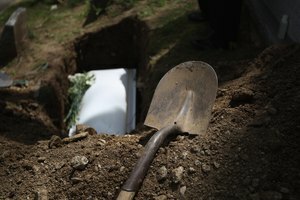 How Soon Should a Muslim Burial Take Place? Pets deserve a proper burial, too. The loss of a family pet can be devastating and the last thing a pet owner wants to think about is disposing of the remains. However, it is something that all pet owners have to deal with eventually. Although there are several methods of disposal, most pet owners want to give their animal companions a proper burial that commemorates the pet’s life and their time together. Many people choose to bury their beloved pets at home in their own backyard. Burying a pet at home and perhaps even holding a memorial service provides a sense of closure. It is also a good coping mechanism for children, since it allows them to say goodbye to their pet and visit its grave whenever they feel the need. However, burying a pet on your own property is not permitted in some areas. Pet owners would need to check the rules of pet burial in the area where they reside. Renters need to get the owner’s permission to bury a pet on the property, even if the locale allows it. Areas that do allow at-home pet burial still may have regulations that must be followed. For instance, the pet should be buried deep enough (usually 2 to 3 feet) to prevent the corpse from being disturbed by other animals, as well as to prevent a health hazard. Pets should also be buried away from water sources and shallow enough to avoid underground utilities. Pet owners that live in apartments or homes without a yard do not have the option of home burial and need to look into alternatives. If the pet is euthanized or dies at a veterinarian’s office, the vet can provide the pet owner with disposal options. Most veterinarians will not charge for disposal if the animal dies at the veterinarian’s office or hospital. There may be a charge if the pet has died somewhere else. The veterinarian may also be able to give you information on local services that provide cremation and/or burial of pets. 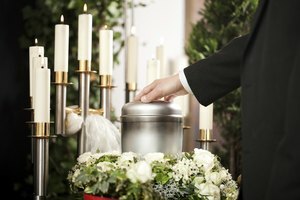 If home burial is legal in your area, and you wish to bury your pet at home, the veterinarian will release the remains to you. However, if the pet died of a disease that could cause a health hazard, the remains will be disposed of and not returned to you. 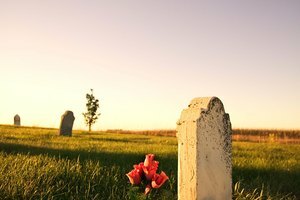 Although it may be costly, pet owners may choose a formal burial in a pet cemetery. A formal burial offers the comfort of knowing your pet’s remains will be cared for and not disturbed. It is also a good option for renters, who may someday move and will no longer be able to care for the gravesite or know what happens to it after they have moved elsewhere. A pet cemetery offers a secure method of caring for your pet’s remains properly. Pet cemeteries usually offer a service of picking up the animal’s remains from your home or veterinarian’s office. Pet crematories and cemeteries will also cremate your pet’s remains. You can then take them home in an urn of your choice to keep or scatter. The ashes can also be buried at the pet cemetery or in your backyard, if home burial is allowed in your area. Some veterinarians also offer cremation services. Some local humane societies will receive and dispose of deceased pets, often at no charge. Contact your local humane society to see if it offers disposal services if you cannot afford formal burial and home burial is not an option. In many cases, animal control services cremate several animals at once in what is referred to as communal cremation. This would be a service to consider if you just want to dispose of the pet’s remains. 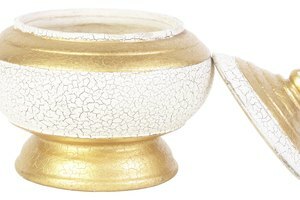 If you want the ashes returned to you, you will need to contact a pet crematory to arrange the cremation of your pet alone. According to the New York City ASPCA, the New York City Department of Sanitation will pick up animal remains that are left curbside free of charge. The animal must be placed in a heavy-duty black plastic bag with a note taped to the bag stating, “dead animal inside.” The bag must then be placed in the regular collection spot on the designated trash pickup day. Contact your local sanitation department or ASPCA to see if this service is offered in your area. Although it is not a preferred method of disposal for most pet owners, for some, it may be the last resort. 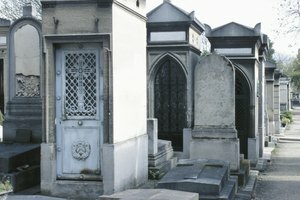 How Much Does It Cost to Cremate Someone? What Happens If You Die & No One Claims Your Body? Zagata, Darlene. "Proper Burial of Family Pet." Synonym, https://classroom.synonym.com/proper-burial-of-family-pet-12084729.html. 29 September 2017.